Pair George III Old Sheffield Plate Silver Candelabra, circa 1820. 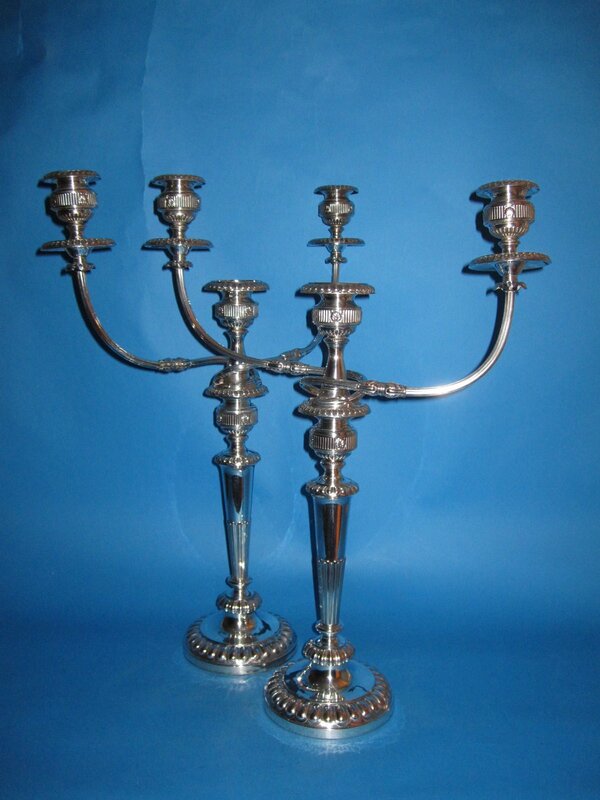 A FINE PAIR OF OLD SHEFFIELD PLATE SILVER CANDELABRA. GEORGE III, CIRCA 1820. Of a superb Regency design of twin branch, three light form, with gadroon drip pans, vertical reeded and shell mounted capitals, scroll & reeded leaf mount branches, on corresponding half fluted stems & raised on spreading circular gadroon bases.